Tanner Roark allowed one run on four hits over 5.1 innings in the Reds' 4-1 win over the Padres on Thursday. He walked two and struck out five while improving to 1-0. This start is almost identical to his previous start, where he allowed one run in 5.1 innings against the Cardinals. 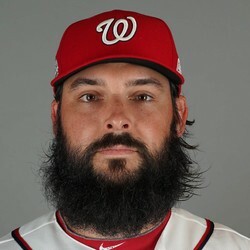 It would be nice if Roark could last six innings, because then he'd be notching quality starts in these outings. Still, Roark is inching his way back towards streamer territory depending on the matchup. His next start comes Wednesday against Atlanta.